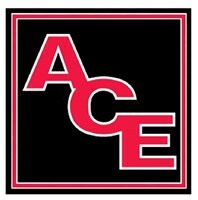 Ace Alarms & Security Systems - Alarms/Security based in Burgess Hill, West Sussex. "Keeping You Safe & Your Property Secure"
Ace Alarms & Security Systems was founded by Steven Holland in 2006 who brings 20 years of experience from the security industry with him. Based in Burgess Hill, West Sussex we have installed over 3700 security systems across Sussex, Surrey & Kent. We pride ourselves with good honest values from start to finish and aftercare. Neat and tidy installations with the respect of our customers and their property. Open protocol alarm installers, service providers. We work on many types of alarm systems, Visonic, HKC, Scantronic, Bosch, ADE, Honeywell, Pyronix, Texecom to name a few. Within a 30 mile radius of Burgess Hill.